Hey guys, I am back again with a super banger that will shock everyone. In this article, I will be showing you in details how to hack a bank account in Nigeria. Nigerians are one of the most careless people in the world. So if there is anybody you can dupe, it should be Nigerians. So last week I was able to hack a bank account in Nigeria for an experiment, and I collected 30,000 Naira from the account. Nobody could arrest me because they had no idea who did it. But since I did it for fun, I returned the money immediately and warned the owner of the account not to try it again. I will be showing you in the article how I was able to hack the account, and you can try your own. I forgot to add this as some of the bank frauds you can do from your home without stress. Remember that this post is just purely educational – if you are caught, you will bear the consequences yourself. 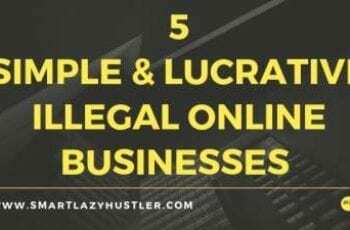 There are several methods to steal money from someone’s account, but I will be sharing my method, which is the simplest method. If you try my way and it doesn’t work, leave a comment in the comment section, and I will show you how else you can do it. 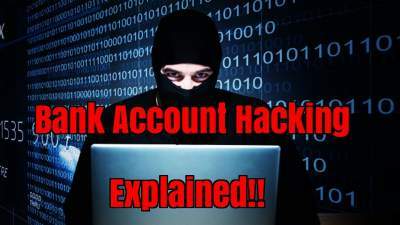 Like I explained earlier, there are several ways to how to hack a bank account and withdraw money to your account, but others have lots of risks. Then you send it to the phone numbers you’ve bought from people. Then you wait for responses. CVC (the number at the back of their ATM). Once you have all these, just tell them you will get back to them and assist them further. All you have to do is go online and start buying whatever you need to buy online. Through a payment gateway (like Paystack), you transfer their money and re-transfer it to your account. The disadvantage of this method is that people are becoming wiser about giving out their details to anyone who sends them messages. So it might not work again. The simplest method to hack a bank account in Nigeria is the one I will show you the steps now, and it is the latest method in town. This costs me money to build, but it was one of the steps I knew would help me hack someone’s account and transfer their money without BVN. In this website, I was selling expensive perfumes for as cheap as 500 Naira. In this website, you are required to purchase anything you want online, and it will be delivered to you. At the backend of this website, there was where I could collect every detail that was registered on my website. I started to promote my new site. I promoted it to attract people to the website and start buying. 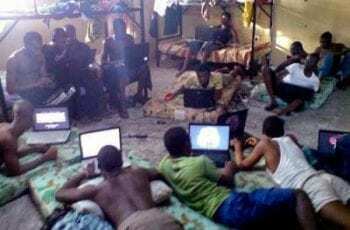 I went on Facebook, Instagram, Quora, Whatsapp groups, everywhere I saw people gathered. When people saw how cheap the things I was selling were, they started to buy in bulk. Remember that this is a “fake website,” so I could intercept their card details, phone number, date of birth, every single thing about them, I knew all of them. After they finished buying and left, I would supply them the perfume – which was also of low quality and download their details. I continued till I had so many card details on my hands, then it was time for operations. I had all I needed to hack a bank account in Nigeria. Some banks like UBA, Fidelity, and Zenith Bank have a robust security system, so they might not sometimes work if you are trying to hack someone’s account. Sometimes when you want to make transfers to a payment gateway like Paystack, Paypal, etc., they might send the owner of the card an OTP (one-time password) to their phones, and it will spoil everything you have done. The secret is to keep trying till you see the one that works for you; you can no go ahead transfer the money. You don’t have to be a professional scammer to be able to do this; you only need the tools and learn from someone. This is not how to become a yahoo boy, so you will need to practice and practice till you become perfect at what you do. I will still add more information to this; if you are confused about how to start, you can ask questions in the comment section, and I will reply and explain to you. Till we meet again, keep hustling like a Smart but Lazy Hustler!! Make sure you share this post, don’t be greedy. It is simple, just meet any web developer and tell him what you want to achieve with the site. He will be able to help you clone any site of your choice using scripts. He will advise you better on the steps to take. No bank will demand for ATM pin online. ATM pin is just for the ATMachine. boss baba is it possible to wire money from onces bank with atm without the pin…which site does that? You don’t need pin to wire money with their ATM from one account online to another. The only obstacle is a one time password that they might send to the phone number – but not every bank does it. find another client. That one don cast. Please! Mikebush…. would like to add you on WhatsApp … would you drop your number here…so ,I can add you WhatsApp for More private business…. Plz I lost my elder cousin brother, he is banking with first bank. His ATM card is with me. While he was alive, he has no phone connected to his account. What should I do am not the next of kin. Hello boss please I want to know more about the paystack,is it right to use my real information on the registration? I have tryed creating my own website, but is requesting for PayPal and so other link which I don’t have. Is there any way for me to create website without them asking me for all those things? Meet a web developer and he will help you out. Boss please how do I get that bulk SMS app? There is no app for bulk SMS. You will only buy it from people who do Bulk SMS. Just google them online and you will find them. There are some payment gateways that don’t send OTP. Most of them are foreign payment gateways. I have told you to send me an email na. Hello….MikeBush,,I have sent you an email in your gmail address But no single response came from you..,. I would love to have some words with you over mail..
pls I may like to know which of the payment gateway that dose not required otp becoz all de ones I have being trying the are requested for otp and again do we have app that can do the hacking ? or can i use it to order from online? Please i have this account details, the account name, account number, the bvn number and the sim with me but the bank is requesting for card number..
Pls sir, I have zenith, I have ATM card front and back details, how will I transfer money from it,? us it and buy something from a foreign site. Amazon, namecheap, and some other bitcoin websites. Boss am really enjoying your lectures, pls I have a debit card of popular bank santo domingo North Carolina, is it useful? Pls I need guild lines from you. Do you have an inside man in the bank? Contact a developer, they will help you.